The Lions' club, along with a team from Virginia and a team from Italy, commanded a MIT-created robot on the International Space Station, navigated it to a disabled satellite, hooked onto the disabled satellite, and towed it to safety while avoiding space debris. The Pope John XXIII Regional High School zero robotics club can say with certainty that it is one of the best clubs in the world. 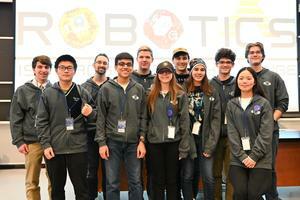 That’s because the zero robotics club helped its alliance team place third in the world at the Zero Robotics High School Tournament International Space Station Finals on Jan. 28 at Massachusetts Institute of Technology in Cambridge, Mass. The ISS Finals featured 14 alliances from around the world and the alliances faced each other in a competition in which they had to command a MIT-created robot on the International Space Station, navigate it to a disabled satellite, hook onto the disabled satellite, and tow it to safety while avoiding space debris in the fastest time possible. 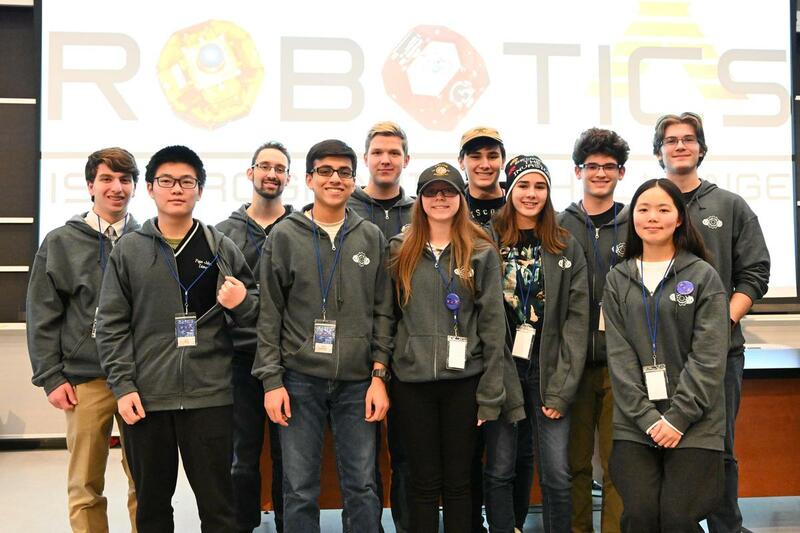 Along with Thorward and Biancone, the Pope John zero robotics club also includes seniors Zhenyuan (Henry) Gong and Hongyue Jin; juniors Patryk Lewicki, Jonathan Meyers, Rohan Mukundhan, Michael Pacholarz, and Evan Rizzo; freshman Zoe Rizzo. The club competed under the name Team Kühlschrank and worked with a team from Virginia named Bacon and a team from Italy named ZRighi to form the alliance Pizza&Bacon. Together, they scored nine points to finish six points behind Naughty Dark Spaghetti and ended tied with Hit or Miss. Due to a tiebreaker, Hit or Miss officially came in second place. However, the Pope John zero robotics club felt it gained a ton of valuable experience because every member was new to the team with the exception of Thorward. While trying to understand these intricacies was difficult enough, the zero robotics club also had to learn how to work with their national and international teammates while doing tons of trial runs. Despite the challenges, Pope John zero robotics club first-year faculty advisor Joe Giovannone was impressed with his students’ performance. More importantly, Giovannone and the rest of the club felt so thrilled to put Pope John’s zero robotics program on the map. After all, their work will be used by MIT’s researchers as the school continues to try to improve the ISS.